Reading with a group of lovely poets at the SPL. Two weeks ago I spent a busy and exciting week as a ‘VRF’ (Visiting Research Fellow’) at the Economic and Social Research Council Genomics Forum at the University of Edinburgh. The Genomics Forum is a small but busy place, with various researchers, people working on policy and different elements of promoting the public understanding of science (specifically, genomics research,) and two writers in residence, Ken MacLeod and Pippa Goldshmidt. The purpose of my visit was twofold: to participate in a poetry evening at the Scottish Poetry Library, and to research ideas for a children’s book on genomics. Both aims were extremely fruitful. Ken wrote a great review of the ‘Base Pairs and Couplets’ science-and-poetry evening. 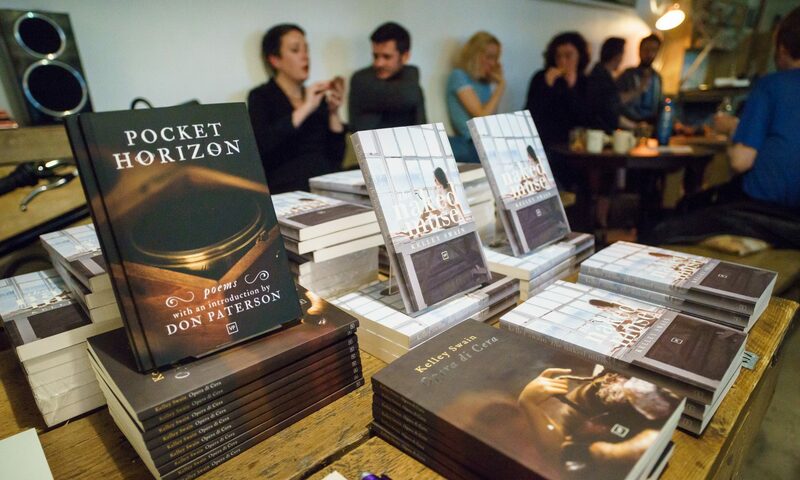 It was a thought-provoking evening, and delightful to meet and hear the other poets. Edinburgh has an amazing literary scene, with a pleasantly sized community of writers, so everyone seems to know each other and it makes for great banter and discussion. 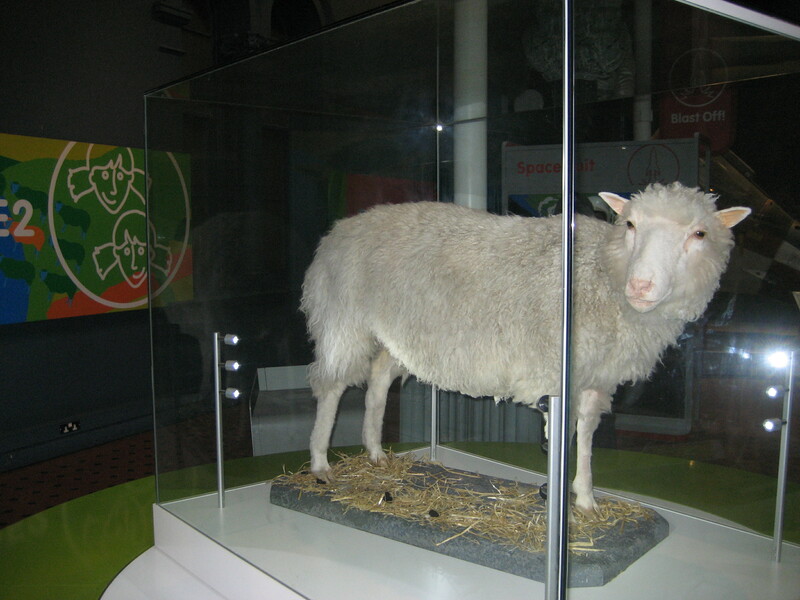 On Sunday I went to the Museum of Scotland to see (taxidermied) Dolly the sheep, a fitting start to my week at the Genomics Forum. I then met Pippa for a lovely dinner at a local ‘posh veggie’ restaurant, where we caught up and talked shop. Dolly is in a revolving case; a surprise when you first see her! On Monday I met Steve, one of the Forum’s Directors, and we discussed some of my plans for the week. Afterwards, I met Claire, one of the public engagement team of the Genetic Interest Group, for lunch, and she gave me a great deal of interesting information regarding working with children who suffer from genetic disorders, from autism to haemophilia, to cystic fibrosis. I then took a bus to King’s Buildings, a ‘distant’ part of the University campus I had never seen before, to meet Chris, who works on the breakdown of cellulose as biofuels. Chris showed me around the labs, which was brilliant. I even got to see the basement ‘fermentation suite,’ where once upon a time an old fermentor had been used to brew beer for the department Christmas party! On Tuesday I headed back to King’s Buildings to see The Gene Pool. One one level, names like ‘fermentation suite’ and ‘gene pool’ can be misleading–at least for those with overactive imaginations! Though the Gene Pool turned out to be a fairly ‘regular’ looking laboratory, Karim, the researcher who gave me a tour, was hugely informative, and I found the machines absolutely fascinating. From the outside they can look like just a big featureless computer-like bulk, but once they are opened up, they are really amazing. Moreover, what they do is amazing– and what they do is sequence genomes like crazy. 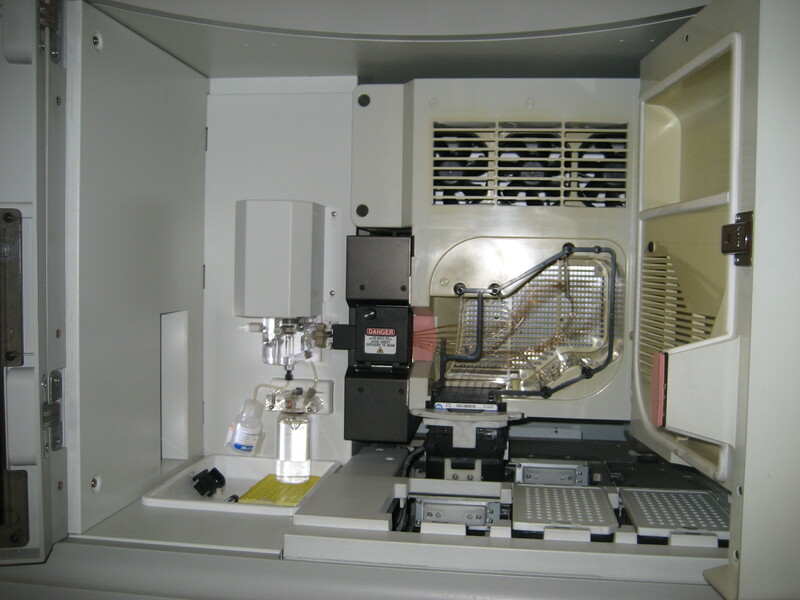 Capillary array inside a sequencing machine. On Wednesday I spent the morning in the library of the Royal College of Surgeons, reading through historical papers and books on genomics, from Mendel to Eugenics to the much more recent Human Genome Project. 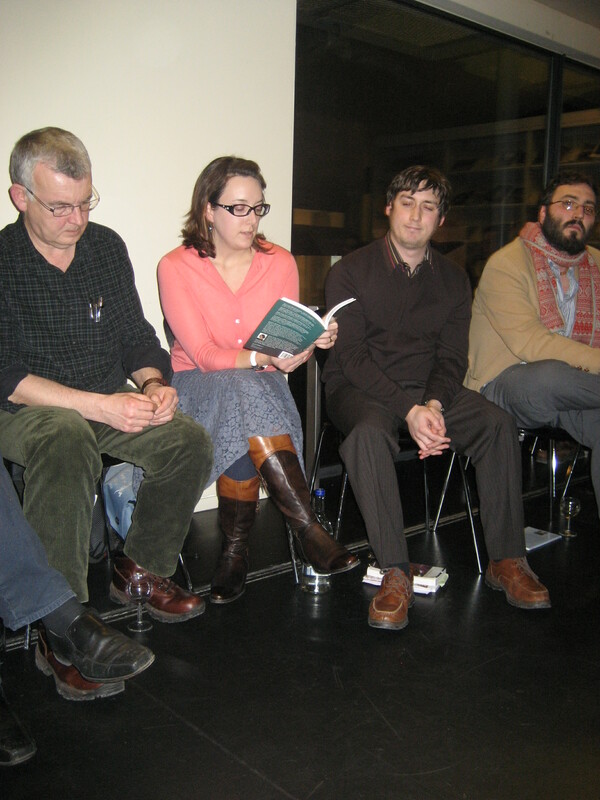 That evening was the lovely Scottish Poetry Library event which I mentioned earlier. Thursday was a day trip to the gorgeous University of St. Andrew’s, where I met Lorna, who lectures undergraduates as well as busily runs outreach events for schoolchildren and families. Lorna was extremely helpful in discussing age-focused science education and book ideas. Friday I caught up with Steve at the Forum and we discussed possibilities for taking my project further. I have some ideas I need to work on now and I expect this subject will come up again in the not-too-distant future! Then I had a lovely lunch with some friends, Ken, Tom and John, and an amble around Grassmarket with Ken before heading to Waverly Station and back to London. A huge thank you to EVERYONE who helped make my trip so productive! Thanks for this enthusiastic write-up, and for the card, which is now on the Forum coffee table. I’ve stolen your photo for my own blog piece here. I’ll be sending you a copy of at least one of my books Real Soon Now.